I first visited in the summer of 2011, and instantly fell in love with it. The atmosphere is very relaxed and laid back, almost like a farm house (the two goats they have living on the grounds certainly add to that vibe!). More importantly, the wine is also really good! I visited again for my birthday during the spring of 2012, and it was just as I'd remembered it (except the goats were all grown up). The tasting fees are very, very reasonable ($10 per person, if memory serves) - and they'll waive them if you buy some wine. During the second visit I decided to join their wine club, since there's no other way to get their wine on the east coast. 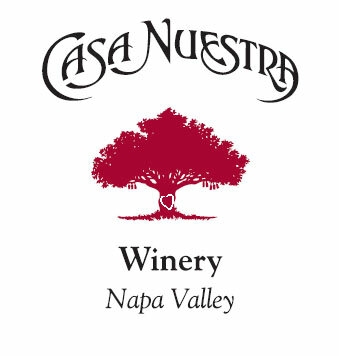 I now get to enjoy three new bottles of assorted Casa Nuestra wines every three months! Next time you're in Napa, make it a point of stepping off the beaten path - you might find yourself a little gem like Casa Nuestra! If you liked this post, sign up to receive free updates via RSS, or email - then you'll never miss out on the latest Food, Wine, and Miles!